Both Fender and Marshall have re-issued some of their classic designs, but these reissue amps typically come stock with a printed circuit board, which tends to compromise both tone and reliability, and makes servicing them difficult, to say the least. Due to popular demand, George Alessandro offers a rebuilding service for some of these models, in which he replaces the printed circuit boards with hand-wiring, and replaces the low-grade components with specially chosen components designed to enhance the amps tone and functionality. Why settle for less? 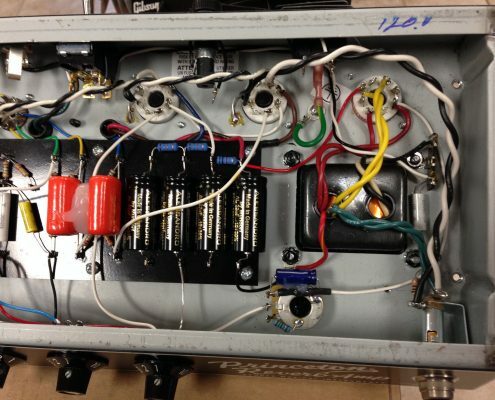 Upgrade your reissue amp to get vintage sound for less-than-vintage cost! Email Us for more info or call us at (215) 355-6424.